Hi all!! It's been a busy, busy week - sorry my blog has been quiet the last week! Today, I wanted to pop in real quick and just share a card I made last week. I didn't make this card for a challenge or anything - just wanted to be crafty and this is what I came up with. I did actually give this to a friend of mine. I was in the mood to use my Distress Inks ( who am I kidding, I am always in the mood for DI). I took an older background Paisley stamp from SU! and heat embossed it with white embossing powder. Then, I took Ripe Persimmon, Peacock Feathers, and Wild Honey, and blended that onto my background. So fun, and gives such an awesome look. 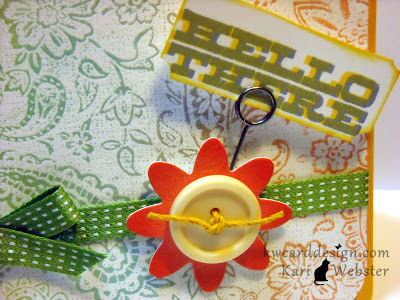 I stamped out my sentiment "Hello There" from the Hey Day Sentiments set from Studio Calico. I first stamped it in Butter Bar Midtone ink from Hero Arts - then stamped it again with Gray Flannel Memento Ink. The gray ink turned a greenish color - which I didn't intend to do - but it turned out fine. I then added some ribbon from SU! and a dimensional flower sticker from Sassafrass. 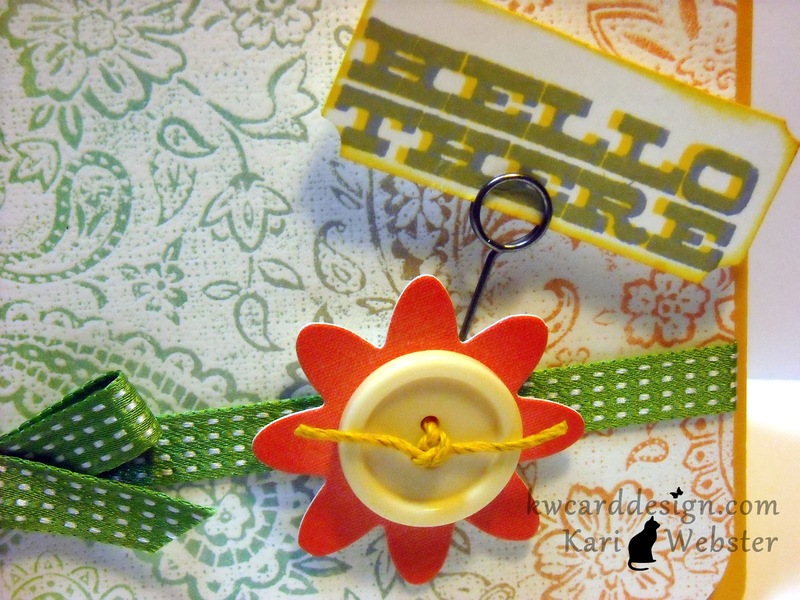 I wanted a different element for my sentiment instead of just placing it onto my card panel - so I took out some Memo Pins from Tim Holtz - and it added that "something" that I was looking for. 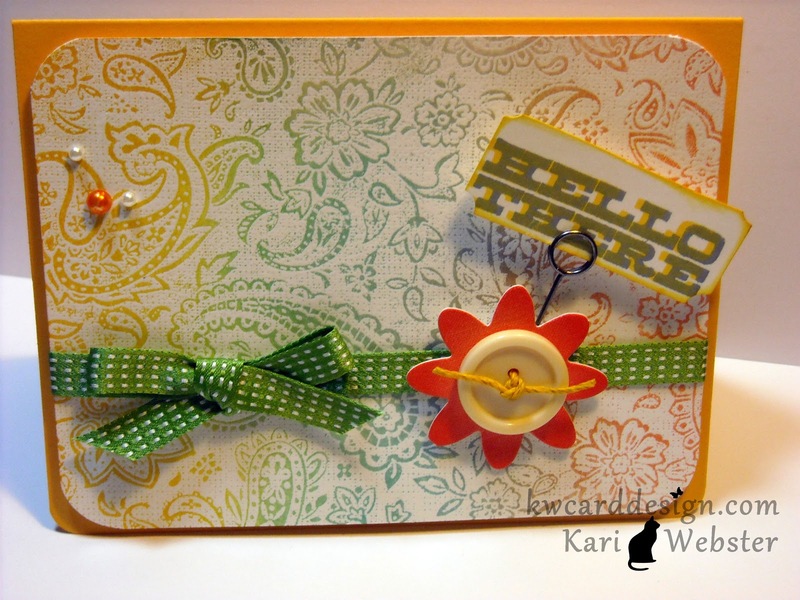 I added my card panel to my card base with is a A2 size which is Summer Sunrise from PTI. Turned out cute, I think. Hope your weekend was a good one!! LOVE that background! I make stuff just for fun too. I have to or every card becomes an assignment!